Christmas Mincemeat doesn’t have meat it and Plum Puddings don’t have plums in them – makes you wonder how these dishes got their names, doesn’t it. 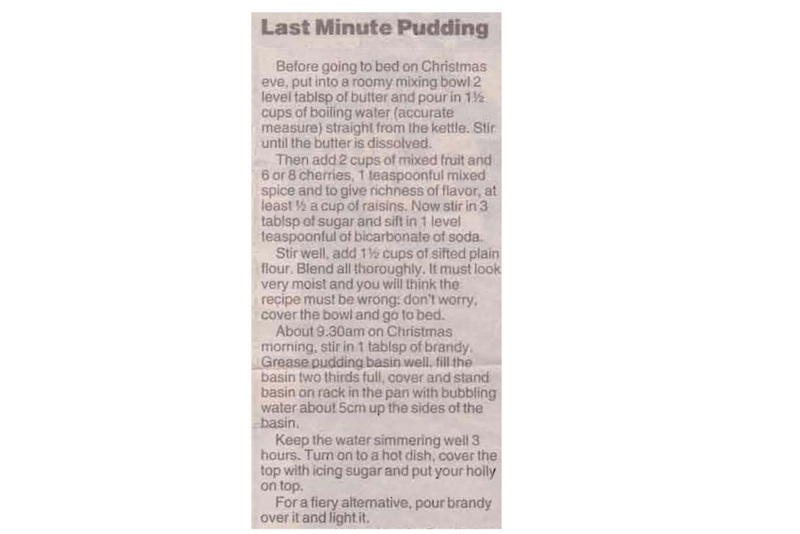 This year I’ve decided not to make a large Christmas Pudding I think I’ll make individual puddings instead. This old recipe uses sago, you can substitute tapioca if you need to. This may not be a traditional Christmas pudding, but when I found it in Mum’s recipe book I couldn’t resist adding it in. It’s an old fashioned sago pudding, nice as is, but I think adding some extra fruit would put it in the Christmas pudding category. 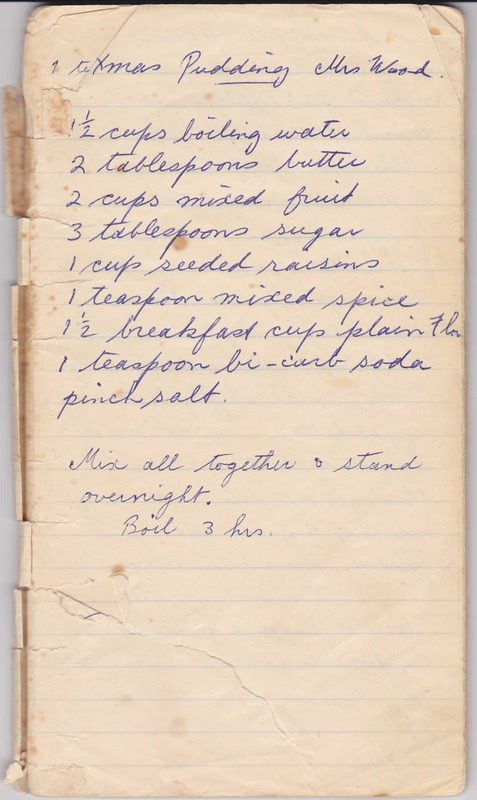 This is a much older recipe and is probably the one that Mum would have used when she made the pudding in the cloth. It doesn’t have brandy or sherry in it, but if you wanted a richer pudding it wouldn’t hurt to add it. It has less fruit in it than Recipe No 1, so would make a smaller pudding. I’m guessing, like everyone else out there, I’m finally admitting that Christmas is closing in on us and it’s time to start the lists and the Christmas cooking. So this weekend I’m making our Christmas pudding. As it’s going to be a lovely family day I’ve decided to make the traditional pudding that Mum made for many years. 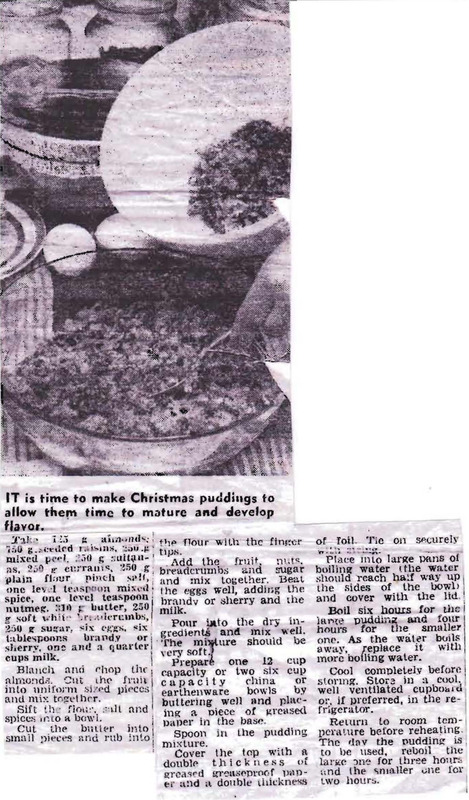 When I was a child she made a pudding in a cloth, but in latter years she made this one in her pudding bowl, covering the top of the mixture with greaseproof paper and then foil and tying it off with string. I still use her technique of making a string handle to lay across the top so that you can take the hot pudding from the boiling water more easily. 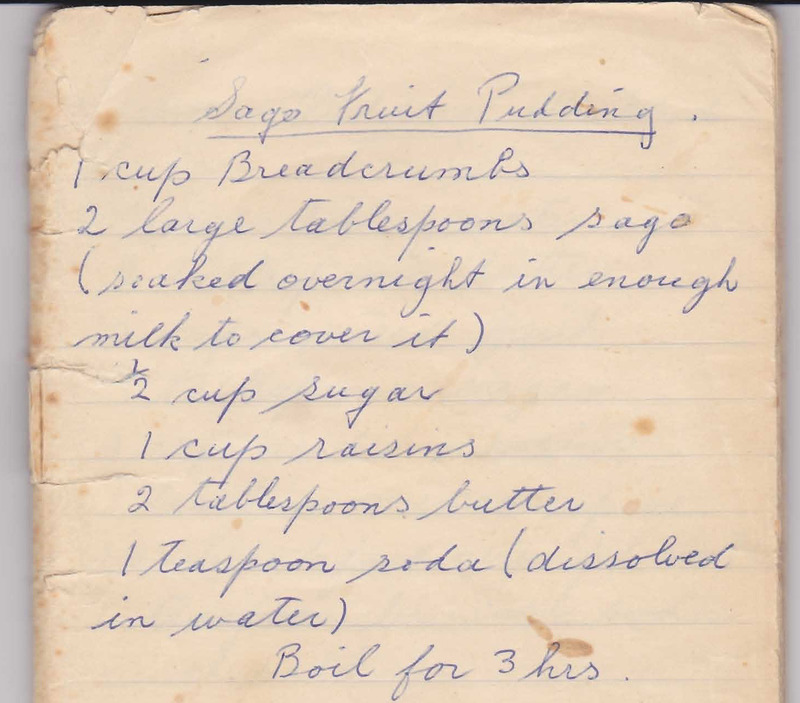 This makes a large pudding for 12, but you can halve the recipe if you want to. I always make the large one and freeze any leftovers to be enjoyed later on.